The Advanced Graph Manager (AGM) is a powerful visual tool for building and testing 32-bit and 64-bit filter graphs. With AGM, you can quickly build and test filter graphs to see if they function as you expect. 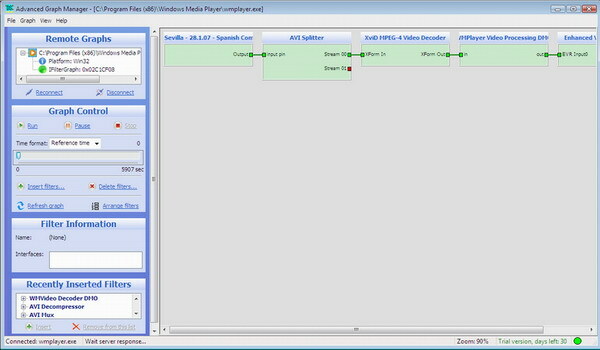 You can even view and full control a filter graphs created by another applications (32-bit or 64-bit). · saving filter graphs to the Microsoft Graphedit format files (“grf” extension) and old Microsoft Graphedit 6 XML format files (“xgr” extension). The AGM is a commercial product. You can download the trial version of the AGM and test it up to 30 days from first run. The trial version does not have any limitations except of working time (30 days).